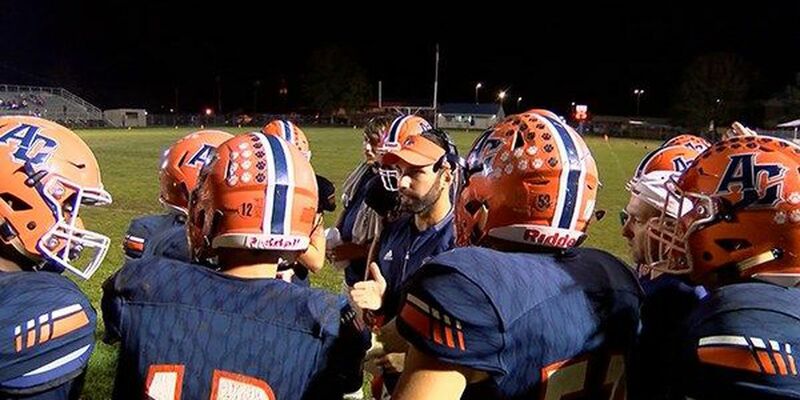 University Lab School football coach Chad Mahaffey is leaving the Cubs' program after nine straight winning seasons to take over as the Walker Wildcats new head coach. 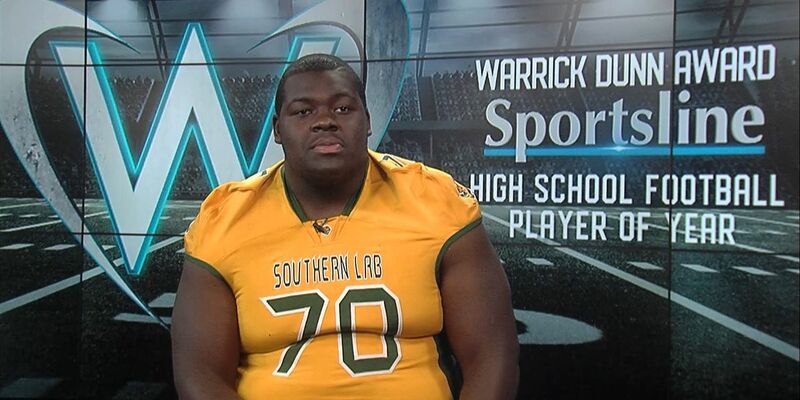 Wednesday is National Signing Day. 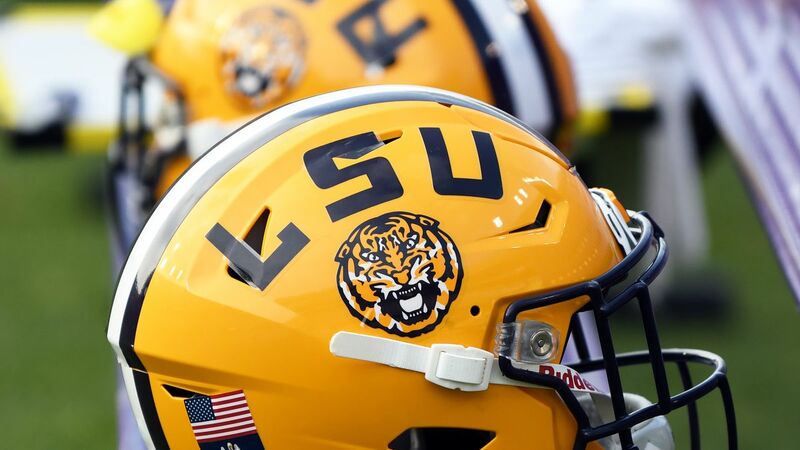 It’s the final piece to the 2019 recruiting class puzzle. 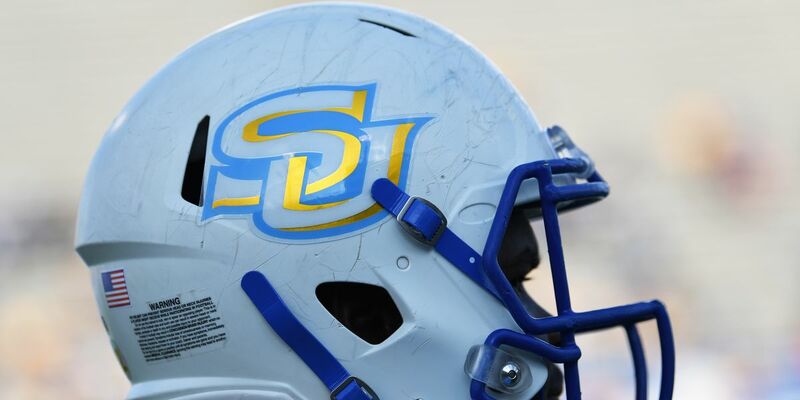 Southern head coach Dawson Odums only signed three recruits in December but added more than a dozen Wednesday to finish with a strong 2019 signing class. 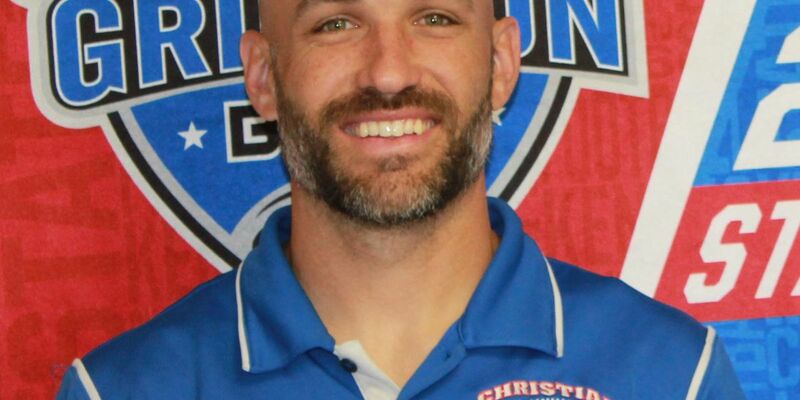 Former Christian Life Crusaders and Louisville Cardinals star quarterback Stefan LeFors is coming home to be the head football coach at Parkview Baptist. 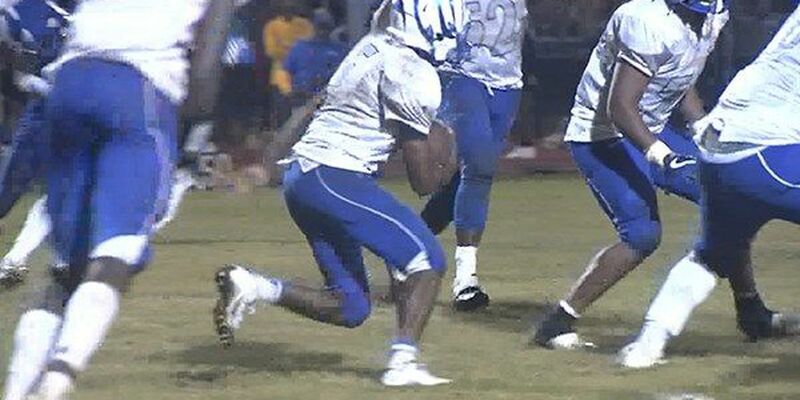 St. Martinville High School running back Travien Benjamin has committed to Southern. 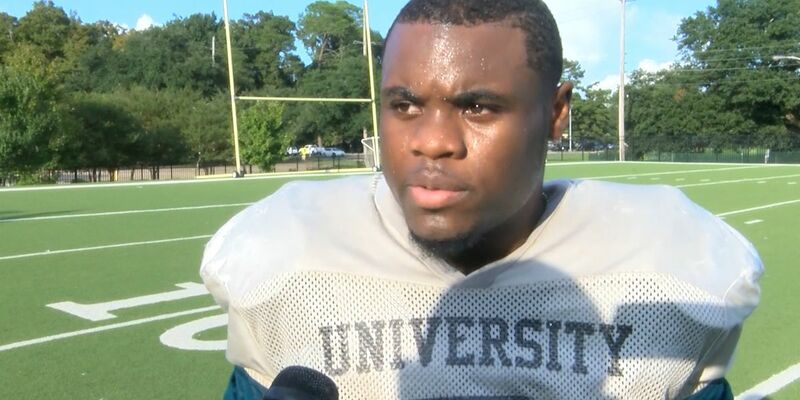 In one of the closest races in the 12-year history of the award, U-High running back Mike Hollins has edged out a star-studded cast of finalists to win the 2018 Warrick Dunn Award as WAFB’s Sportsline Player of the Year. 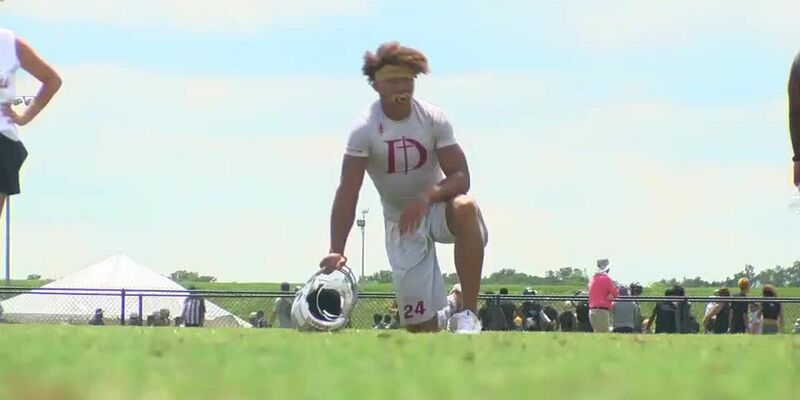 Some people are calling Dunham’s Derek Stingley Jr. a “once in a generation” type of a talent. 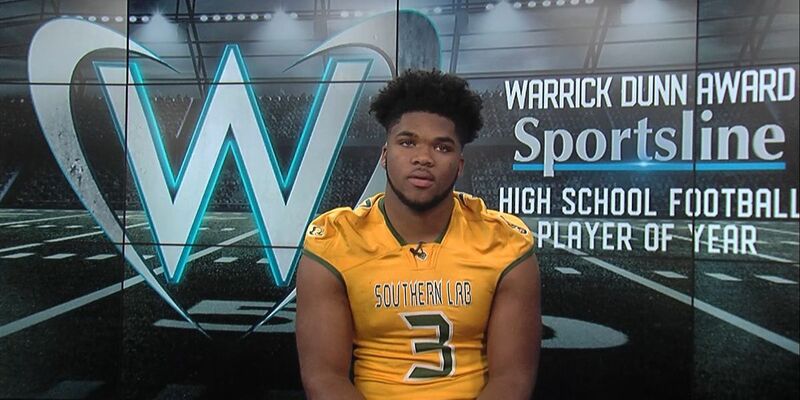 Southern Lab senior Kardell Thomas, an LSU football early signee in December, has been named a finalist for the 2018 Warrick Dunn Award that goes to the Sportsline Player of the Year. 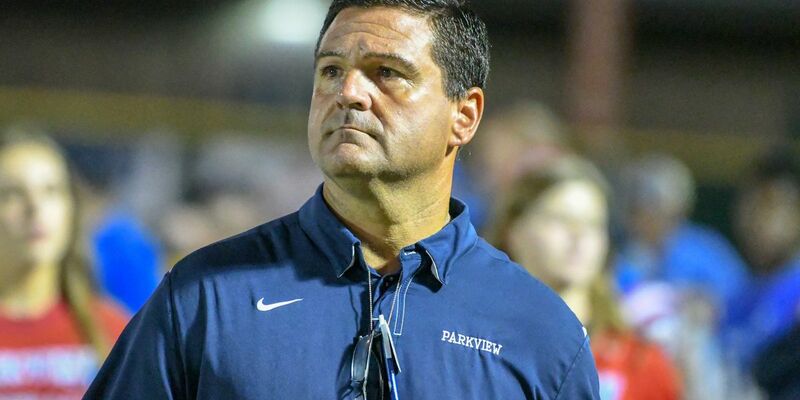 Jay Mayet, the head football coach at Parkview Baptist, has resigned. 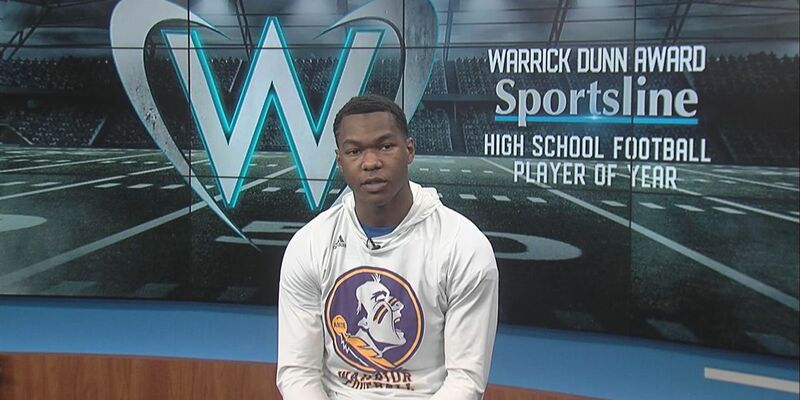 Amani Gilmore from Amite has been named a Warrick Dunn award Finalist after leading the Warriors to the LHSAA Class 2A State Championship, the school’s first title in 14 years. 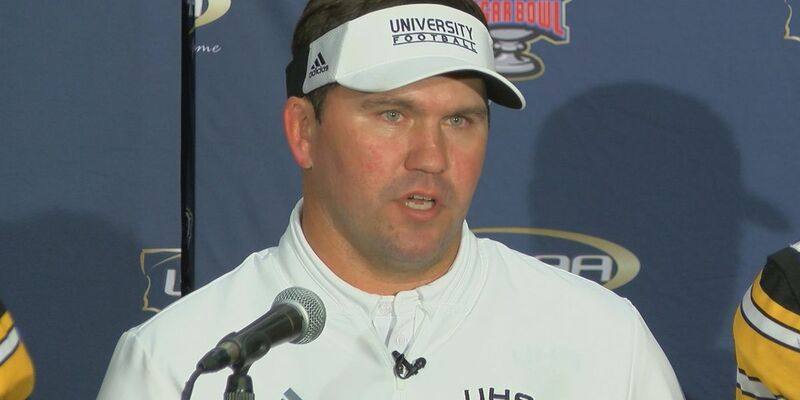 Southern Lab running back Tyrion Davis has been making plays for the Kittens for what feels like forever now. 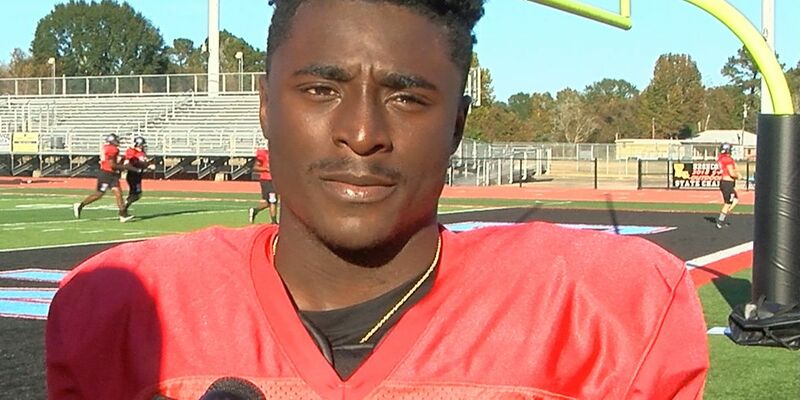 He’s a 2019 Warrick Dunn Award finalist. 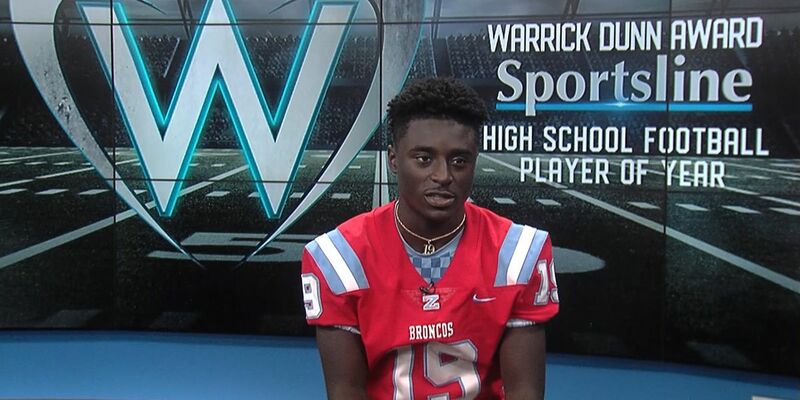 Zachary didn’t fall behind much this season, but if and when the Broncos did, Chandler Whitfield felt like that was his time to shine and turn things in the right direction. 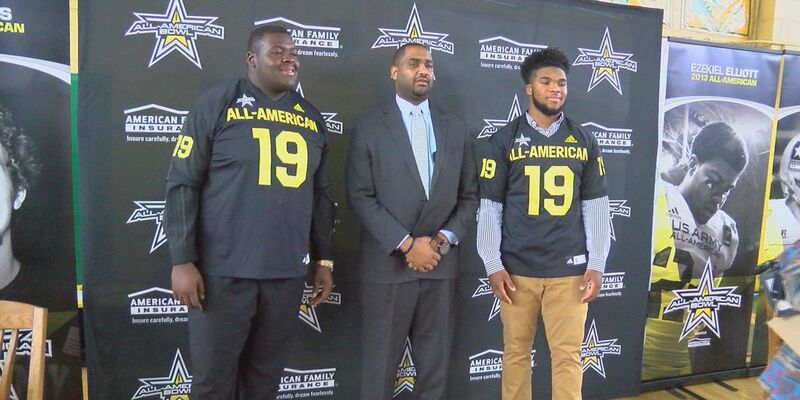 Many high school football players are taking advantage of the National Signing Day early period and inking with the universities of their choice. 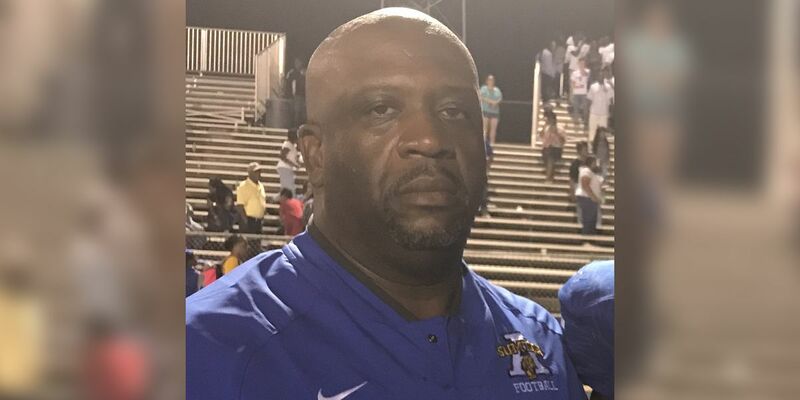 Drey Trosclair, who just finished his fourth season as head football coach at Ascension Catholic, is no longer employed by the school. 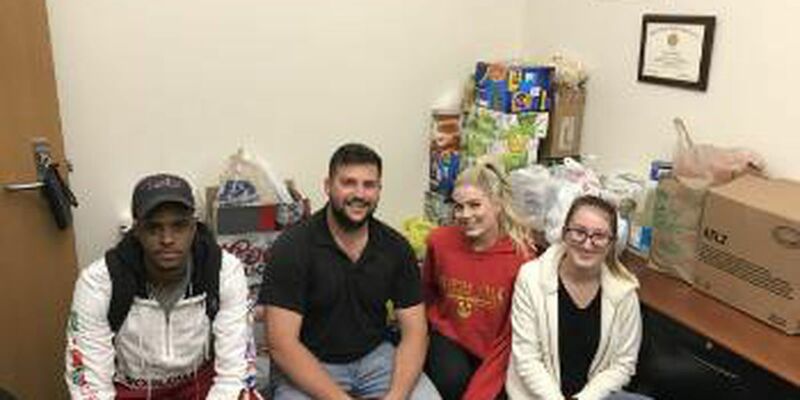 The 28-year-old was asked to step down Wednesday morning after issues with administration at the school came to a head. 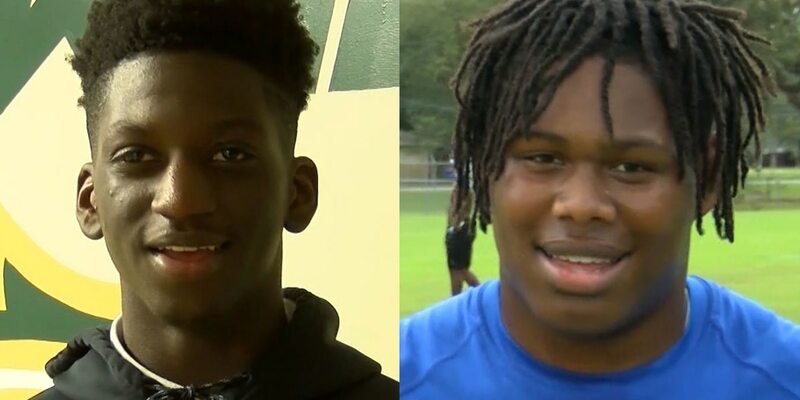 The high school football season is now complete and with it, our final player of the week, or in this case, players of the week. The Cubs defeated the St. Thomas More Cougars 55-46. 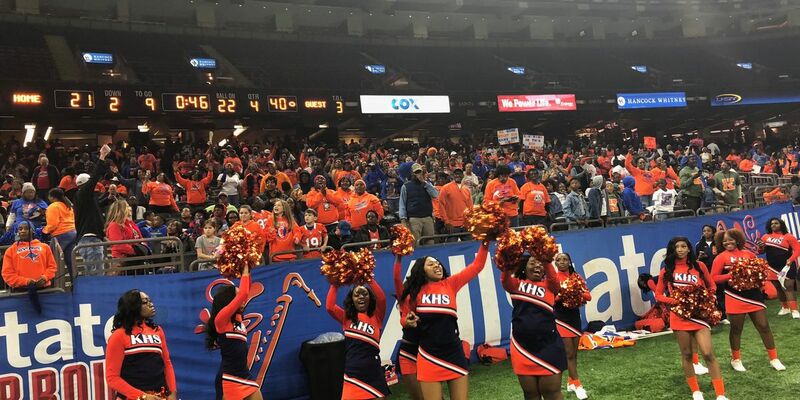 Kentwood’s defense held No.1 seed Oak Grove, which averaged more than 40 points a game, to just one offensive touchdown and rolled to the LHSAA Class 1A title 40-21 Thursday afternoon in the Mercedes-Benz Superdome. 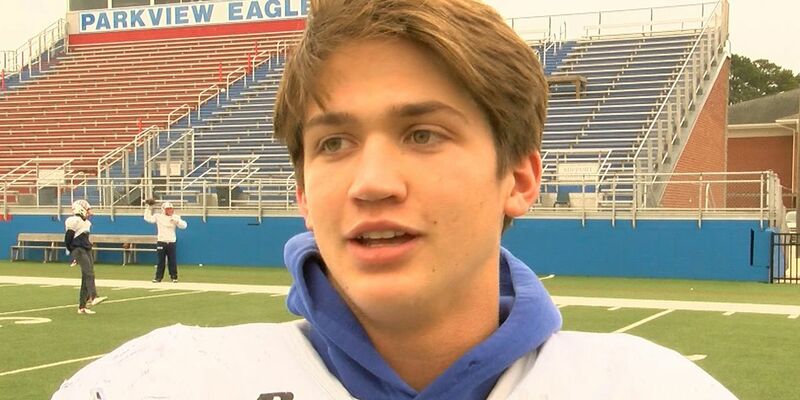 The Broncos may have the offensive weapons to not only score against West Monroe, but win. The Kanagroos take on No. 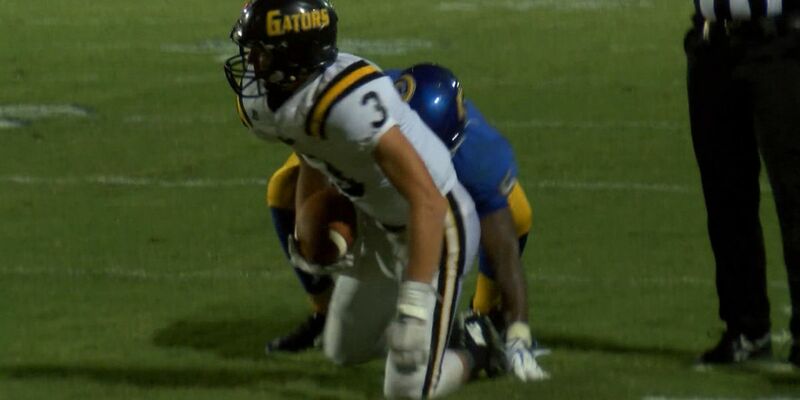 1 seed Oak Grove Thursday at noon in the Class 1A State Championship game. 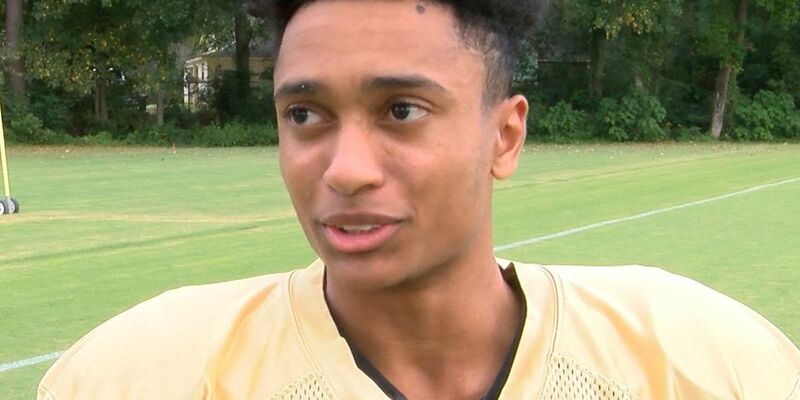 Stingley averaged 28 yards per catch, had 27 career interceptions and recorded a 3.57 GPA. 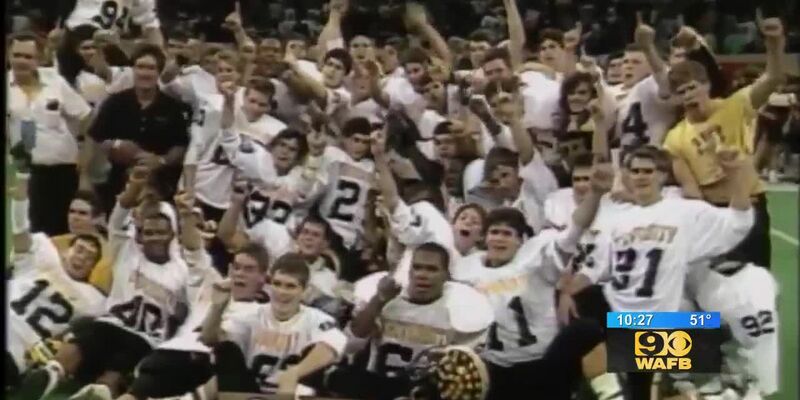 U-High, Catholic and Zachary try to repeat as LHSAA Football champions this weekend, and the Cubs could make it a special anniversary celebration for Saints' assistant coach Brad Banta and his 1988 University Lab School team, which took the Class 1A title 35-6 over Haynesville. Torrential downpours, sloppy fields, Vermilion Catholic’s defense - no problems. 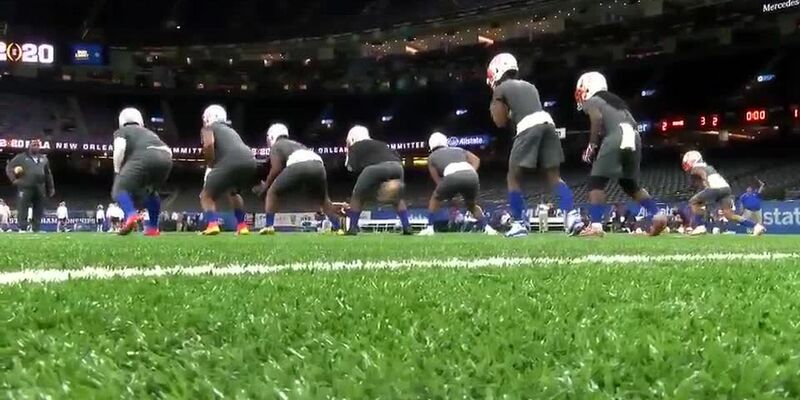 None of that would stop Jai Williams from getting Ascension Catholic back to the Mercedes-Benz Superdome. Scores for the games played on Friday, November 23. 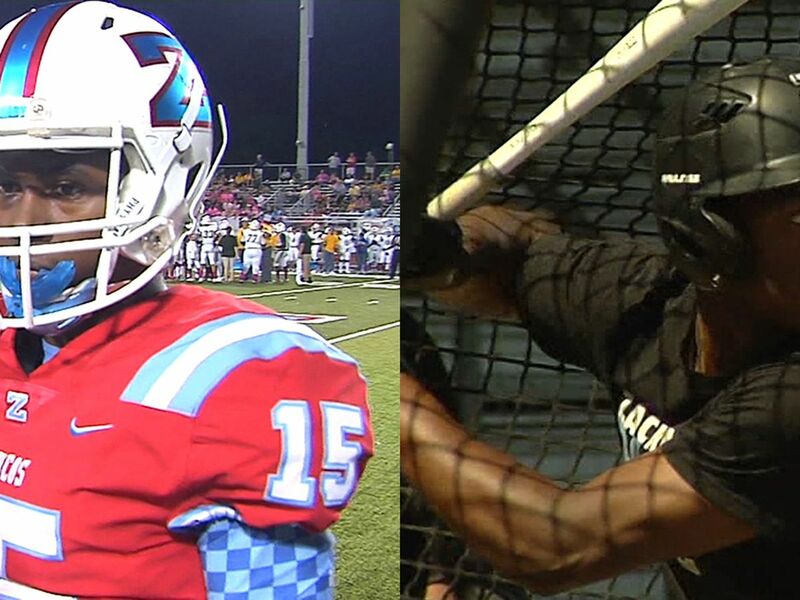 Zachary wide receiver Chandler Whitfield played a big part in last year’s second state title in three years and was at it again Friday night against Hahnville, catching 8 passes for 212 yards and an 85-yard touchdown. Scores for the games played on Friday, November 16. Scores for the games played on Friday, November 9. 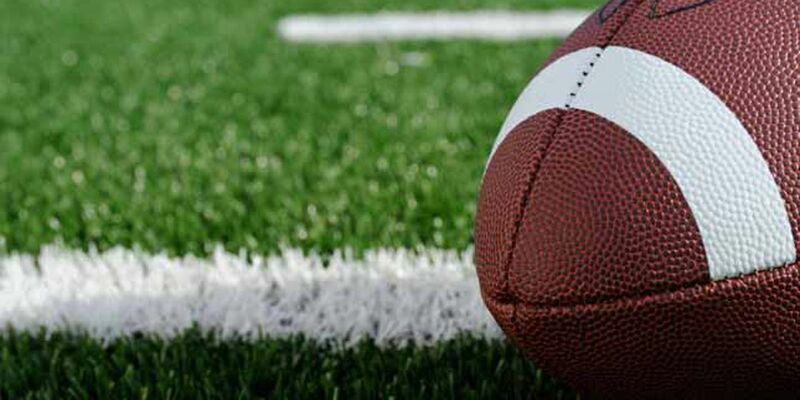 Halloween is not the only the time of year when pranksters try to flex their creative muscles, but also during the East Ascension vs. St. Amant game, according to Ascension Parish Sheriff Jeff Wiley. Scores for the games played on Thursday, October 25, and Friday, October 26. Wednesday was a big day for a pair of Southern Lab Kittens. Scores for the games played on Thursday, October 18, and Friday, October 19. 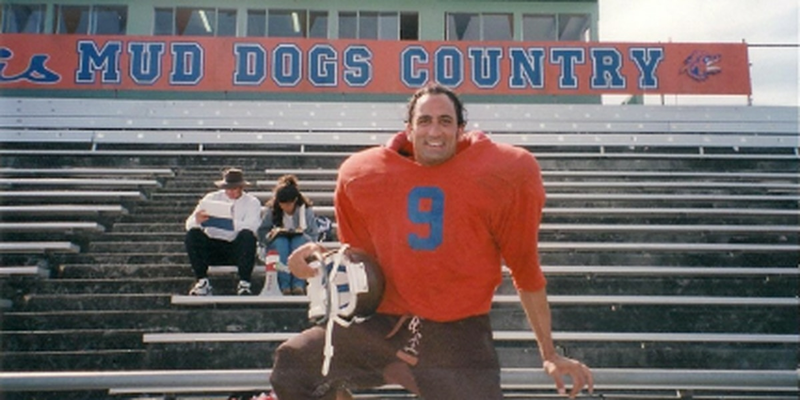 As the U-High Cubs don limited edition SCLSU Mud Dogs uniforms, U-High Dad Michael Papajohn recalls working as Adam Sandler's stunt double in the 1998 film "The Waterboy." 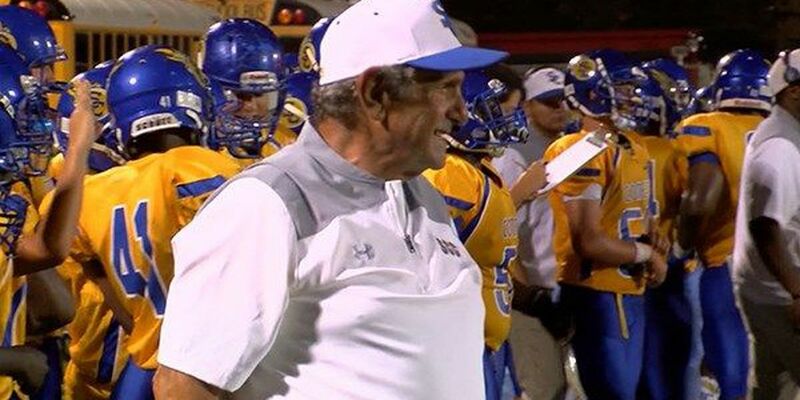 The Week 7 Sportsline Player of the Week award took us to a school that’s become a power under head coach David Brewerton and won two state championships in recent years. 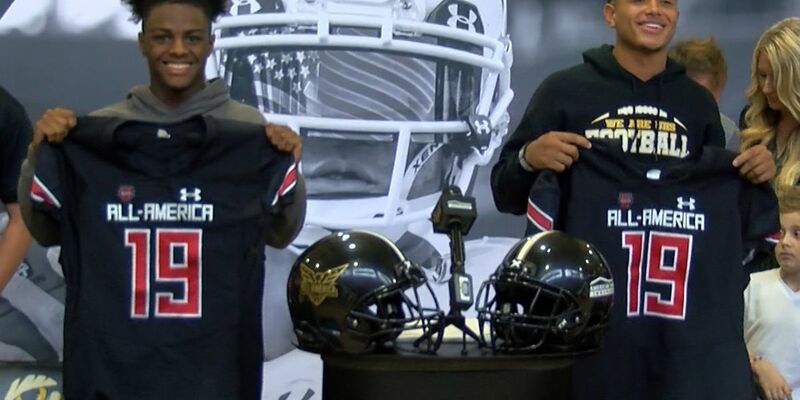 UHigh stars Jordan Clark and Bryton Constantin were presented their Under Armour All-America game jerseys Wednesday afternoon. Scores for the games played on Thursday, October 11, and Friday, October 12. 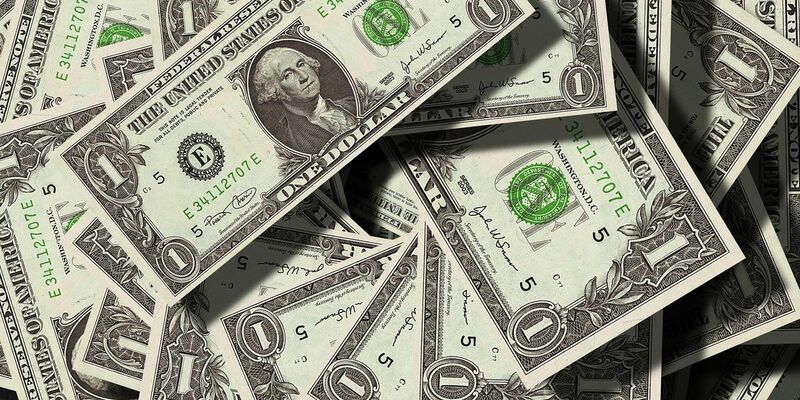 The administration, faculty, staff, and students at McKinley High School are thanking a very generous couple after they donated tens of thousands of dollars to the school’s athletics department. Scores for the games played on Thursday, October 4, and Friday, October 5. 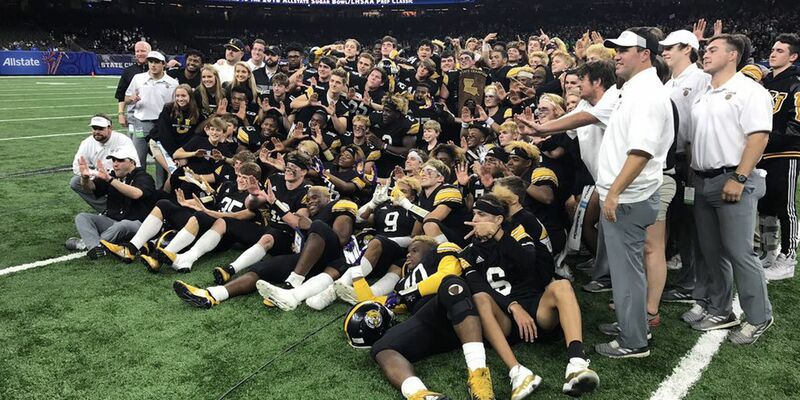 Defending Division II champion UHigh continues to roll through its 2018 schedule and with the win over Zachary last Friday, the Cubs are now on an 18-game winning streak dating back to last season. 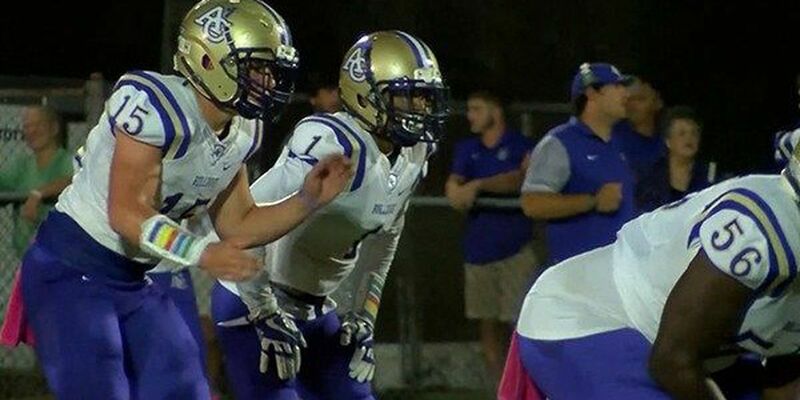 During the fifth week of Sportsline Throwback Thursday in 2018, we take you around the area for games featuring East Ascension, Dutchtown, Redemptorist, St. Amant, Lutcher, E.D. 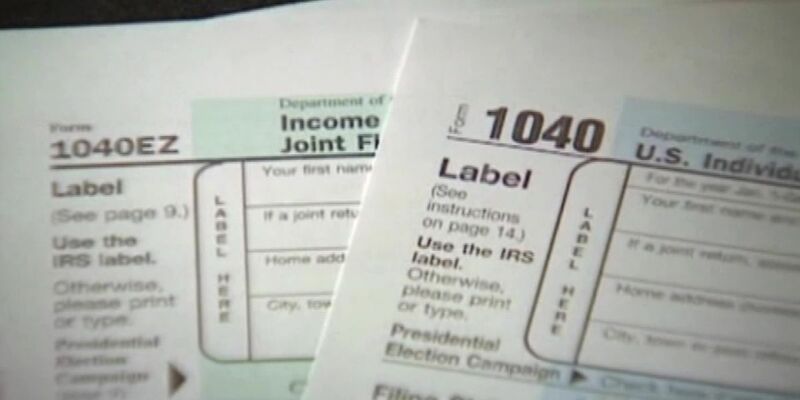 White, St. James, and Donaldsonville. 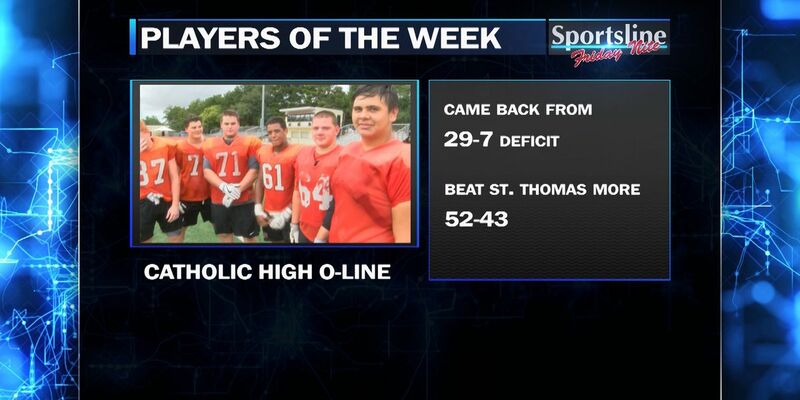 9Sports is proud to honor the Catholic High offensive line and running back Joshua Parker as Sportsline Players of the Week. Here are the final scores for games played Thursday September 20, and Friday September 21. 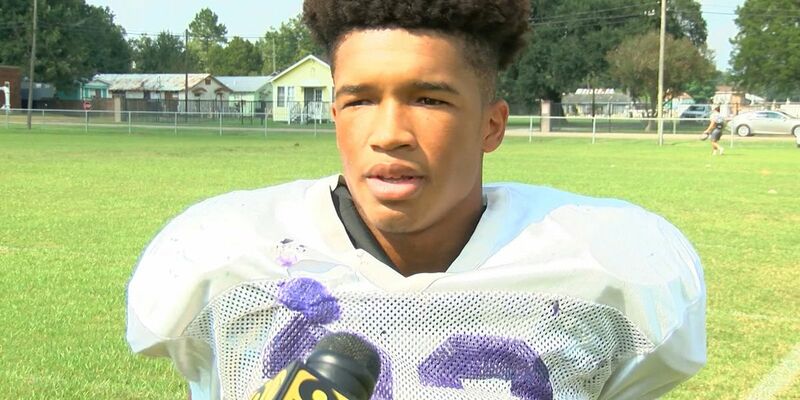 The Week 3 Sportsline Player of the Week award took us to Donaldsonville and the Ascension Catholic Bulldogs. 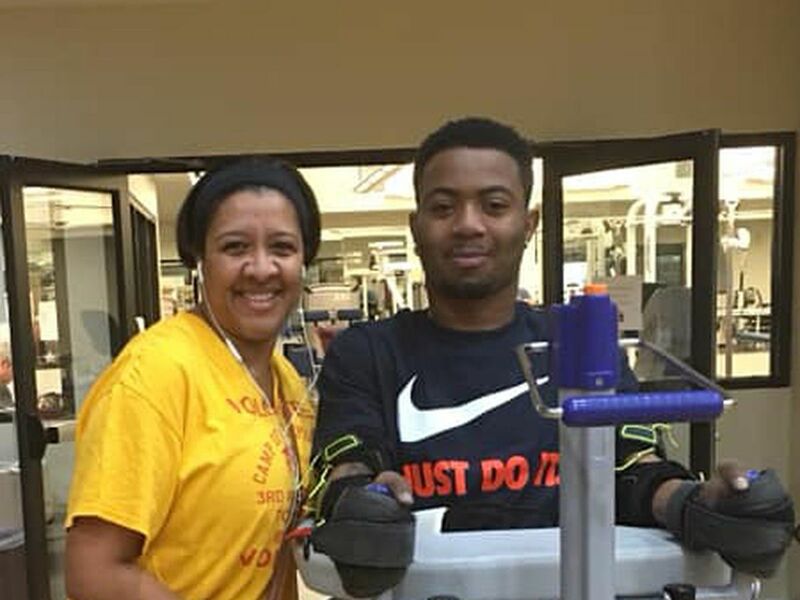 Junior running back Jai Williams was leaned on early and often, which resulted in record-setting numbers. Here are the final scores for games played Thursday, September 13 and Friday, September 14. 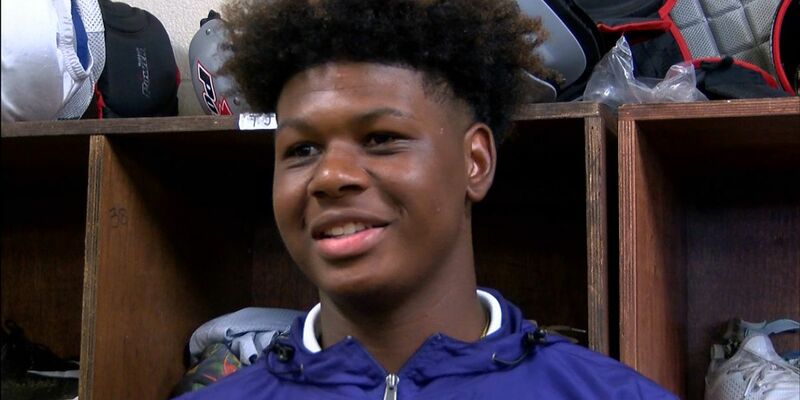 During the third week of Sportsline Throwback Thursday in 2018, we take you all around the area for games featuring Albany, Amite, Franklinton, Independence, St. Helena Central, Springfield, and Redemptorist. 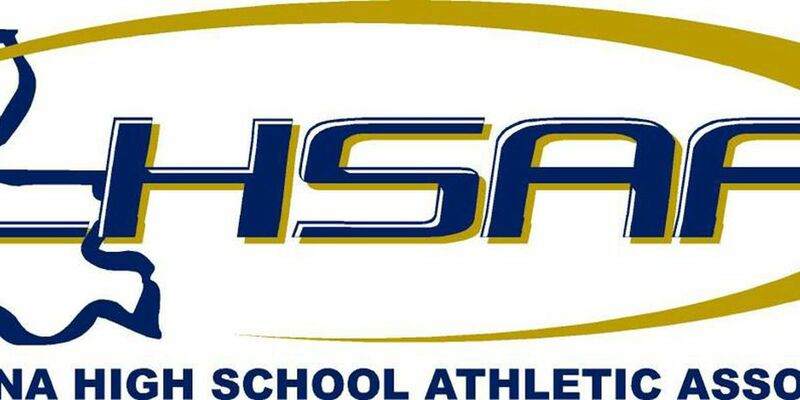 A spokeswoman with the East Baton Rouge Parish School System said the LHSAA has ruled to reinstate the eligibility of five student-athletes, reduce the two-year ban to one year, and reduce the $41,000 by 50 percent following an appeal by the EBRSS. 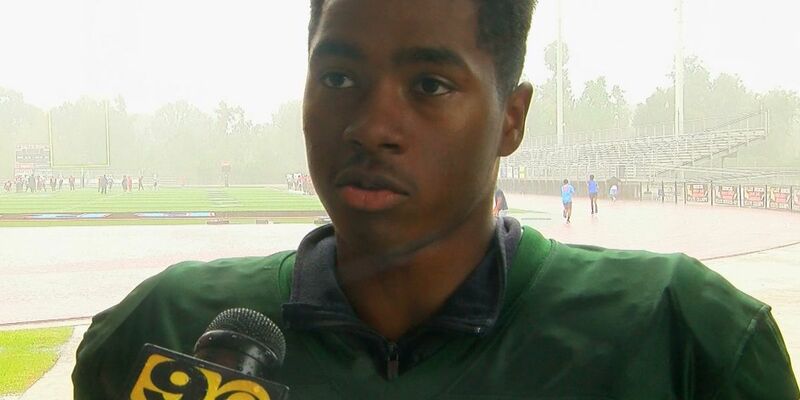 Ponchatoula junior quarterback TJ Finley is our Sportsline Player of the Week. He put up amazing number in a 64-63 win over Denham Springs. Here are the final scores for games played Thursday August 30 and Friday August 31 2018. 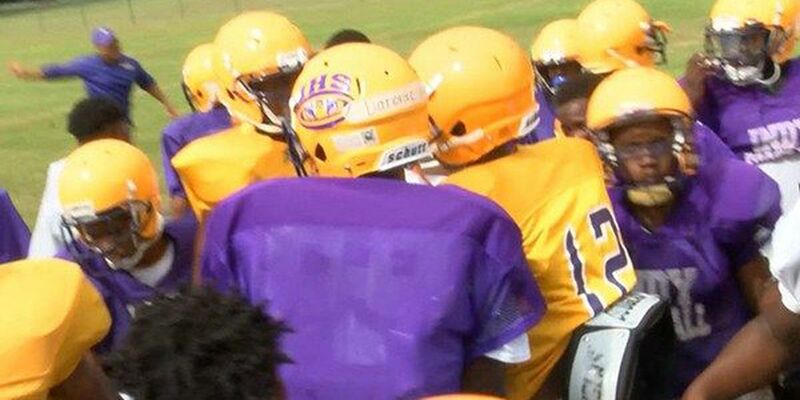 During the second week of Sportsline Throwback Thursday in 2018, we take you all around the area for games featuring Lutcher, Patterson, Zachary, Catholic, Plaquemine, Port Allen, Capitol, Independence, Amite, and Southern Lab. Right between Baton Rouge and Hammond, you can find our first two invitations to this year’s Warrick Dunn banquet. When life hands one an obstacle many strive to tackle it. But what if that so called obstacle was really your main motivator? 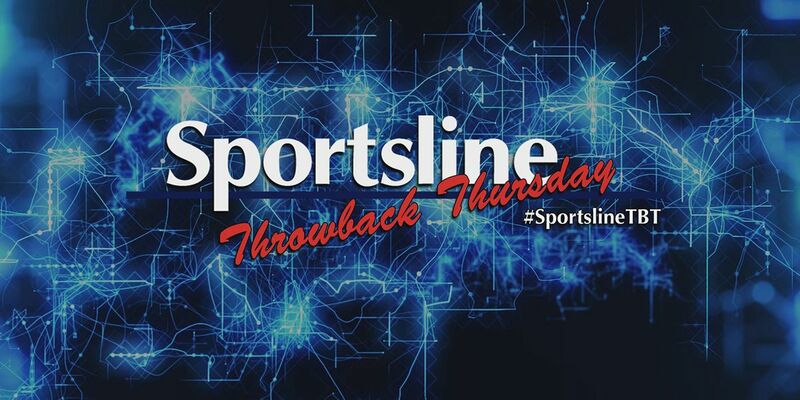 During the first week of Sportsline Throwback Thursday in 2018, we take you all around the area for games featuring McKinley, Tara, Catholic, St. Amant, U-High, Woodlawn, Central, Southern Lab, and Plaquemine. Here are the final scores for games played Thursday, August 23 and Friday, August 24, 2017. 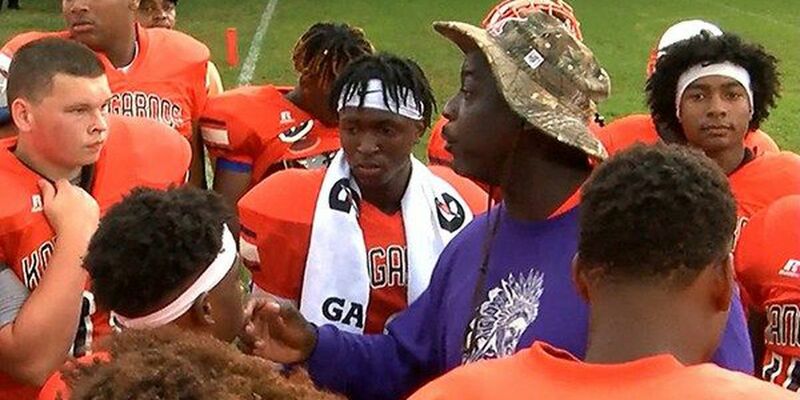 The team that ended LSU linebacker Devin White's high school and running back career at North Webster, the Amite Warriors, are the No. 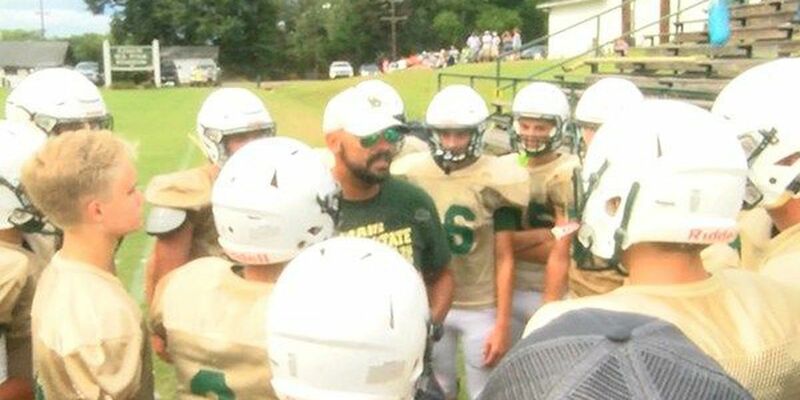 62 and final team preview for this year's Sportsline Summer Camp. Sportsline Summer Camp is wrapping up with Amite and Ascension Christian. 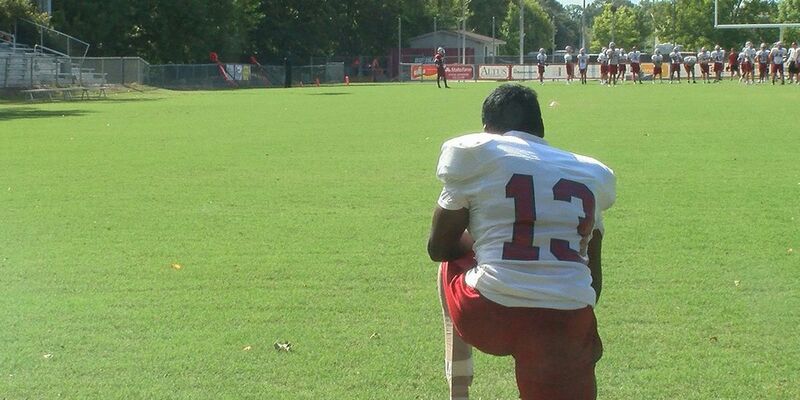 The Lions are coming off a 7-3 season but didn't play for district honors or earn a playoff berth. 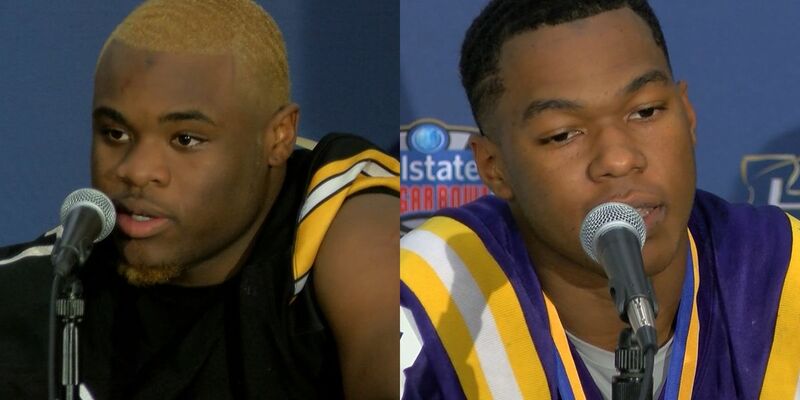 The East Iberville Tigers were the subject of Tuesday night's Sportsline Summer Camp. 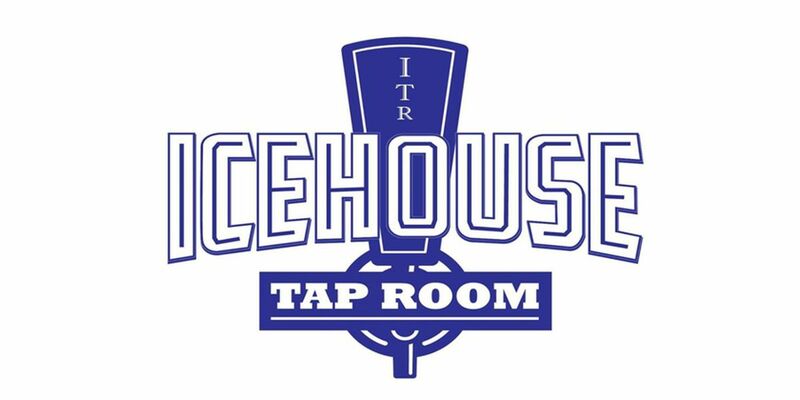 Head coach Ron Lejeune is entering his second year after a great debut with a program that has typically struggled badly. 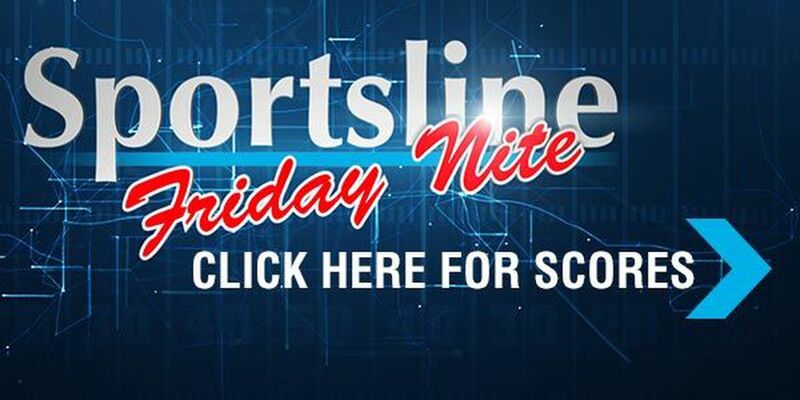 Sportsline Friday Nite debuts Friday with the jamboree edition and with that in mind, we have just a few more teams to preview on Sportsline Summer Camp. 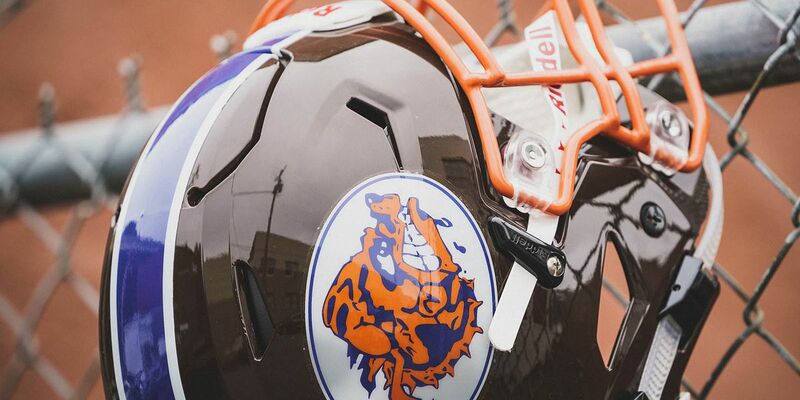 The first Sportsline show is this week, but the Sportsline Summer Camp continued Saturday with a stop under the water tower for a preview of the Kentwood Kangaroos. 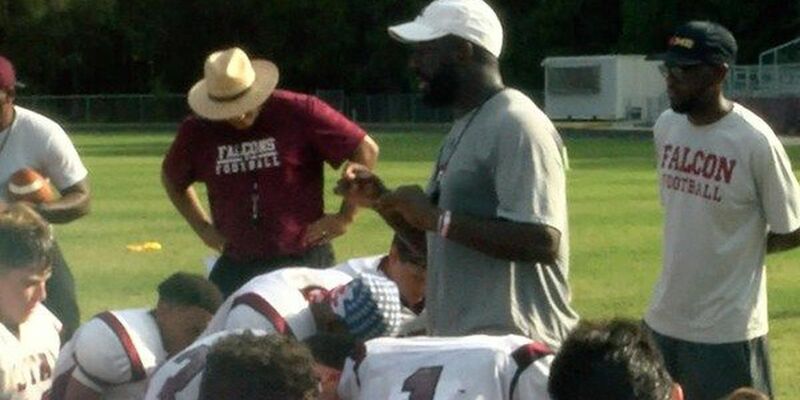 Friday night's Sportsline Summer Camp took a look at the St. Thomas Aquinas Falcons, which went 6-4 in the regular season. 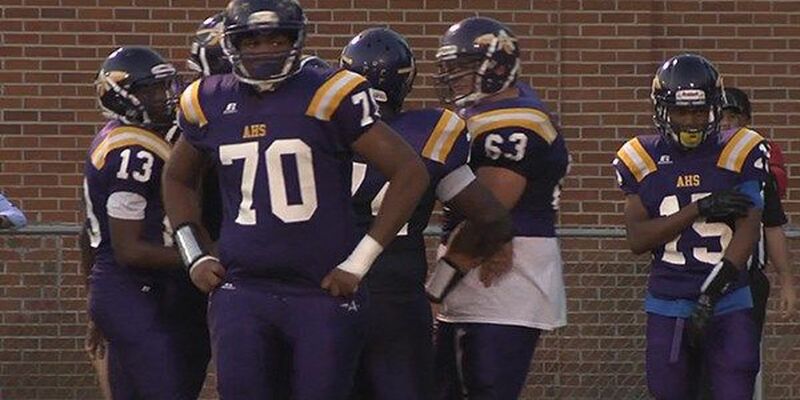 Their signature win was a 24-20 final against the Amite Warriors in week 10. 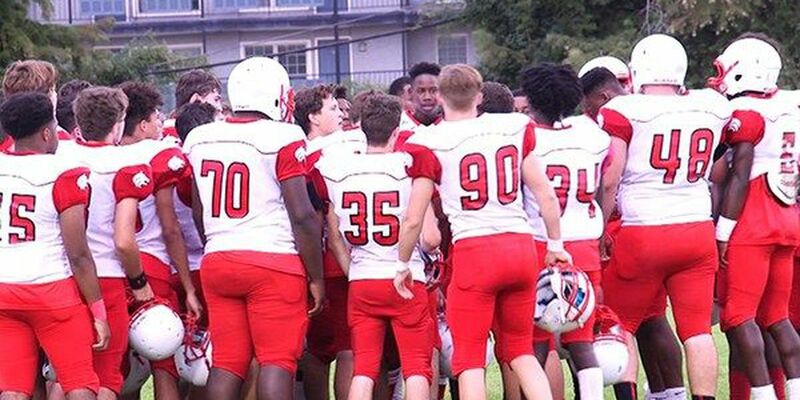 Sportsline Summer Camp has just seven more stops before jamborees, but the Loranger Wolves were at McKinley in Baton Rouge for a scrimmage Thursday night. Independence is under new leadership for the first time in many years, as Scott Shaffett replaces Keith Corona heading into this season. 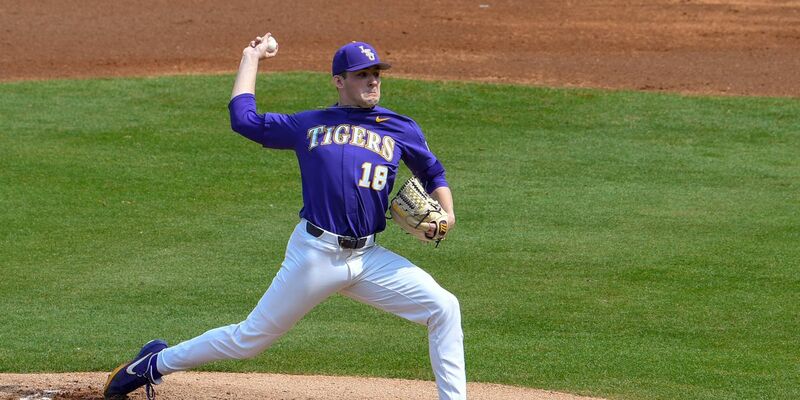 The Tigers were 6-5 last year and Shaffett is already making his mark on the school. 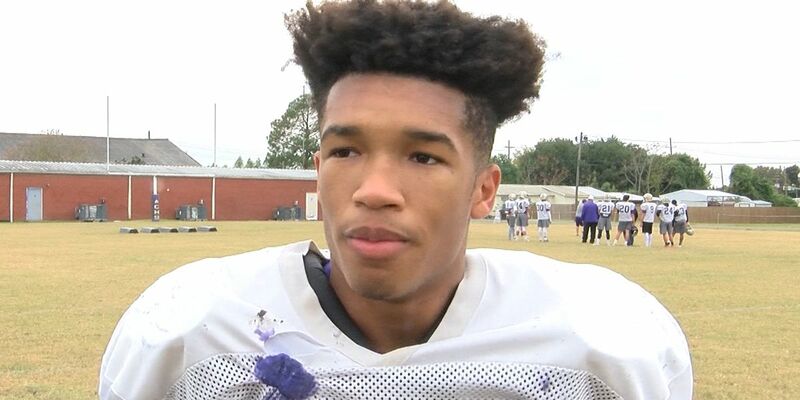 The team that plays LSU running back Nick Brossette's alma mater, U-High, every year in its fall scrimmage, including this Thursday, is St. Charles Catholic, which was stop No. 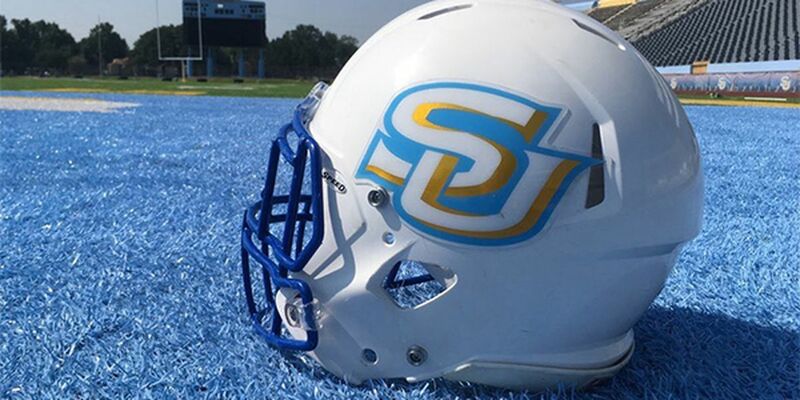 54 for Sportsline Summer Camp. 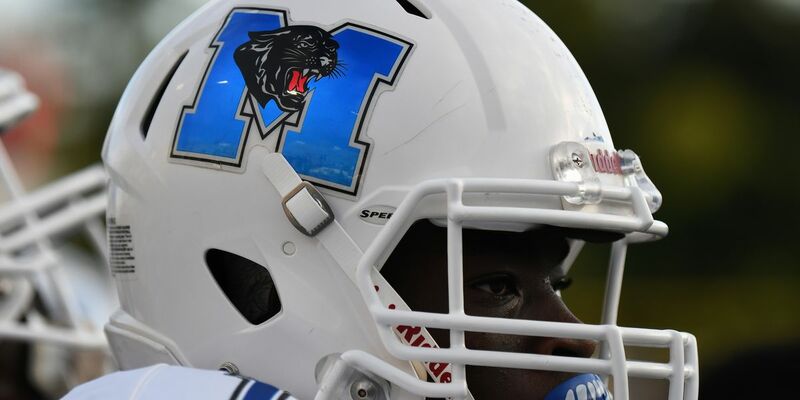 Monday night's Sportsline Summer Camp visited with McKinley High, a school that has certainly dealt with a ton of adversity and turmoil in recent months. Sportsline Summer Camp stop No. 52 took us to Centreville Academy. 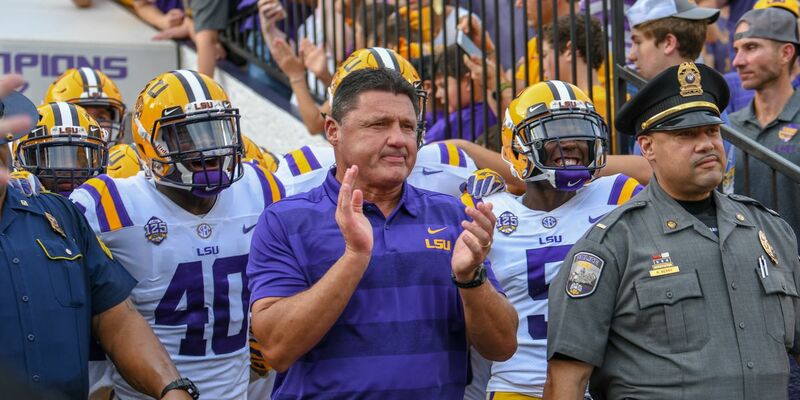 There's definitely excitement in the air with the Tigers coming off a 10-3 season with 15 starters back. 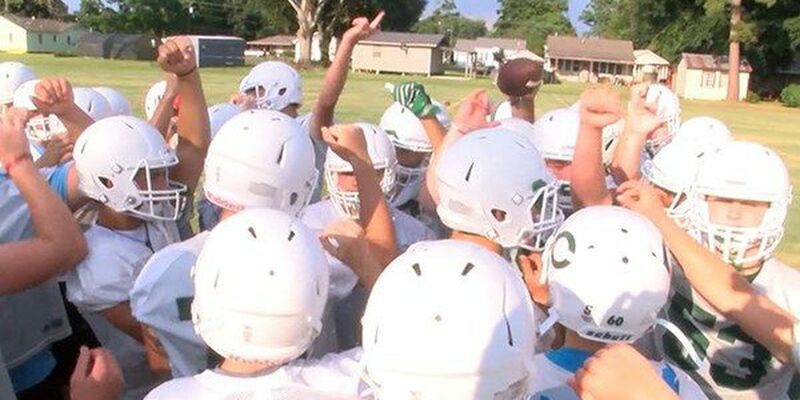 High school football had some jamborees Friday night and on Sportsline Summer Camp - Beauvais, Carriere, and Fuselier may sound like a Cajun law firm - but it's actually the three seniors Catholic Pointe Coupee lost after last season. 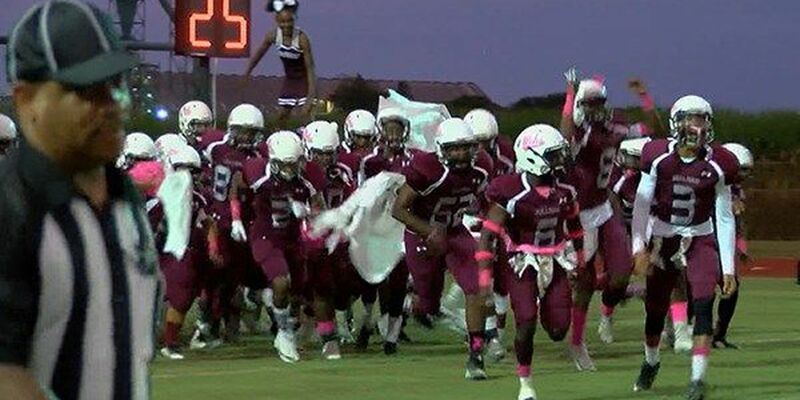 Sportsline Summer Camp took the crew to Donaldsonville on Thursday to visit with the Bulldogs of Ascension Catholic. 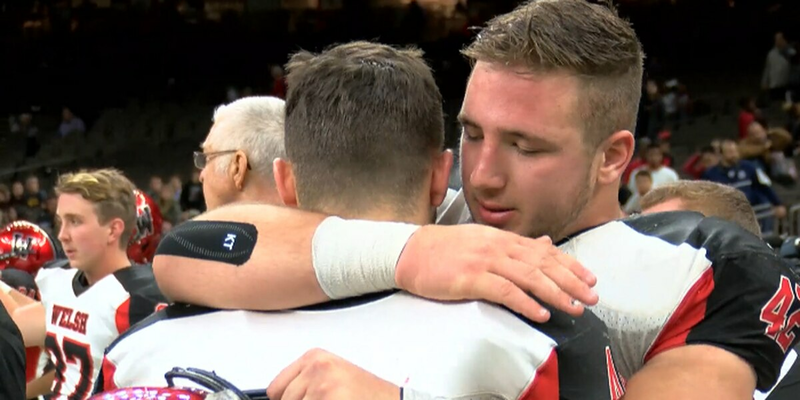 The Bulldogs had a magical year a season ago. 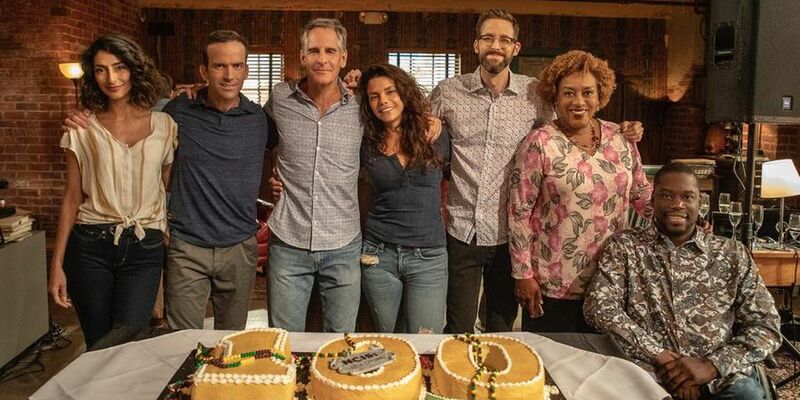 Wednesday night was team preview No. 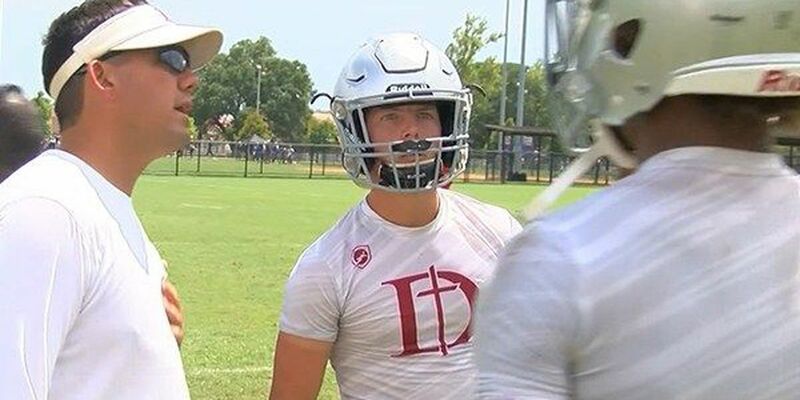 49 for Sportsline Summer Camp and the crew traveled just down the road, where Capitol is under new leadership and hoping to turn the program in the right direction. 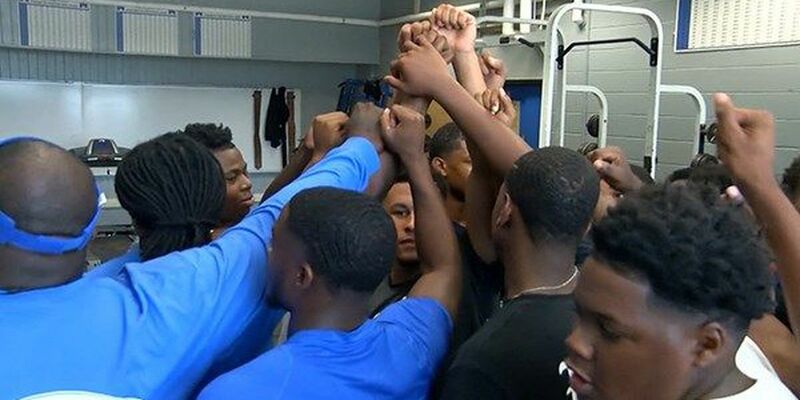 Monday night's Sportsline Summer Camp visited with one of the area's traditional powerhouses, the Riverside Rebels. 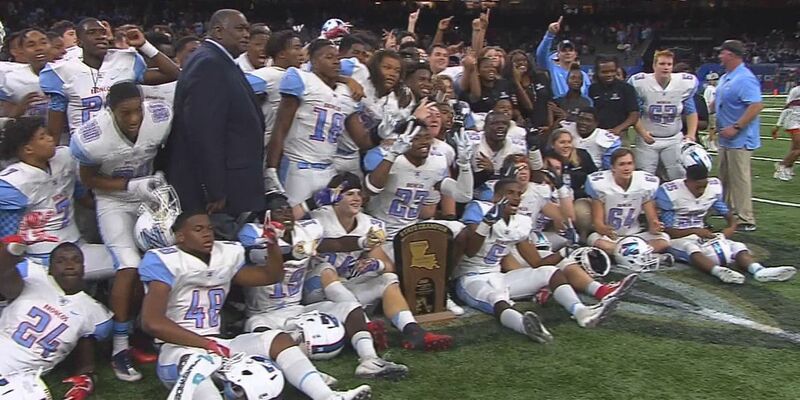 In 2016, the Rebels were state champions. 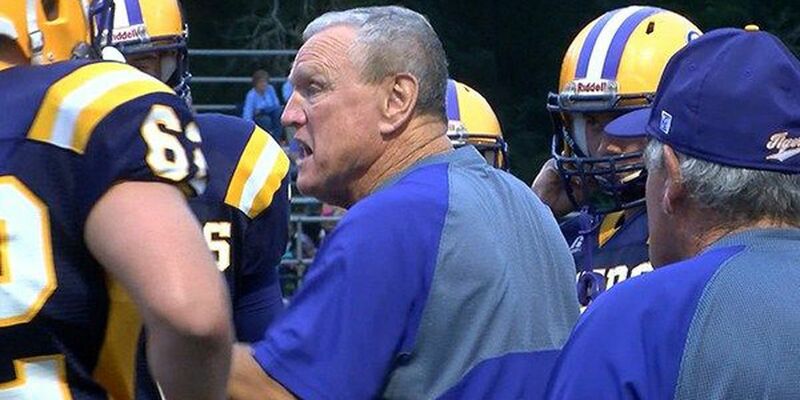 Last season, Riverside reached the Division III semifinals. 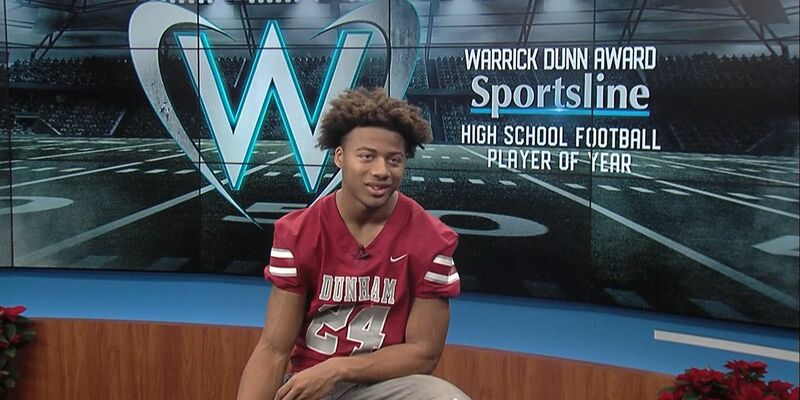 Neil Weiner and his Dunham Tigers were the featured Sportsline Summer Camp on Saturday to start what they hope will be another memorable season like the one they had in 2017. 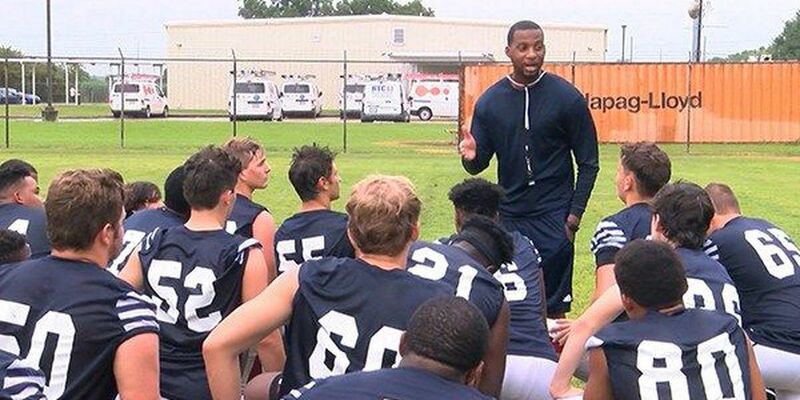 Finally, on Friday, Sportsline Summer Camp stopped off in Clinton to learn one of the keys to East Feliciana's season.